These pastries were all sitting under a heat lamp so I’m not sure how fresh and tasty they would be. Dessert!!! These were so cheap!!! 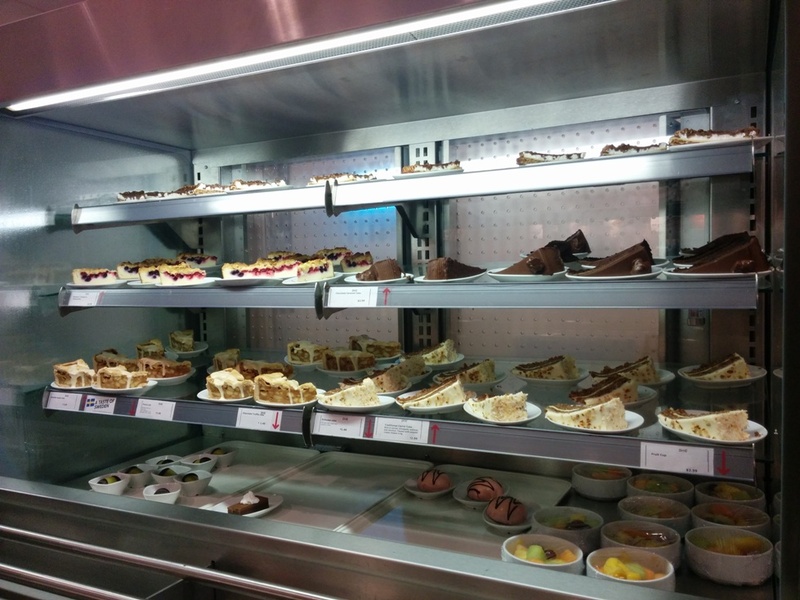 I stood there and oggled all the cakes for the longest time before I picked the carrot cake! 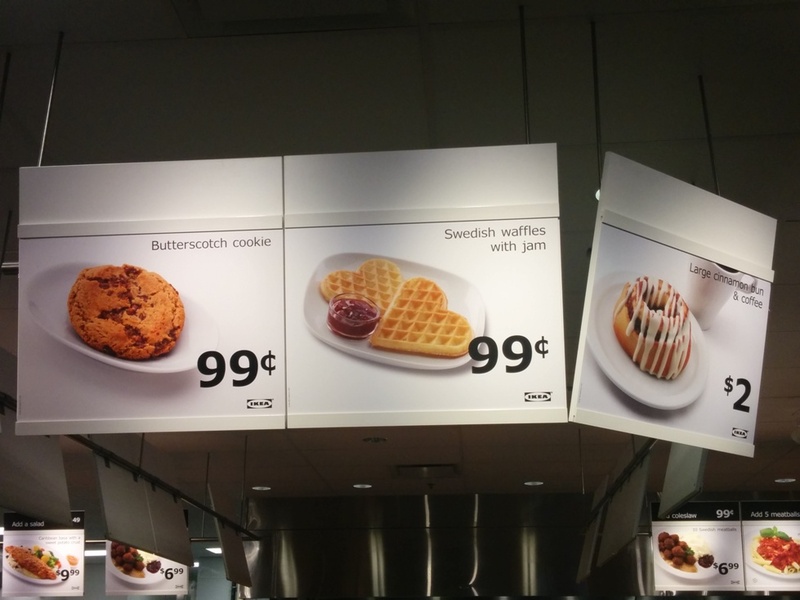 I think all the cakes are $2.99 or so. The famous Meatballs with Mashed Potatoes and Cranberry Sauce. 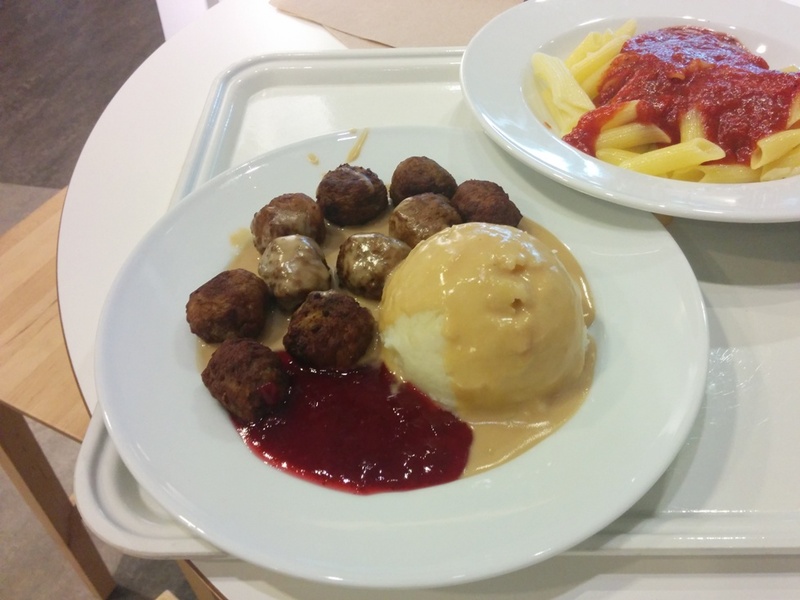 There are 10 meatballs and for $6.99 this is not bad. I admit the meatballs weren’t amazing but considering the price it’s a good snack for when you’re shopping. The mashed potatoes were creamy but generic and the gravy didn’t have much flavour at all. Could’ve been saltier? 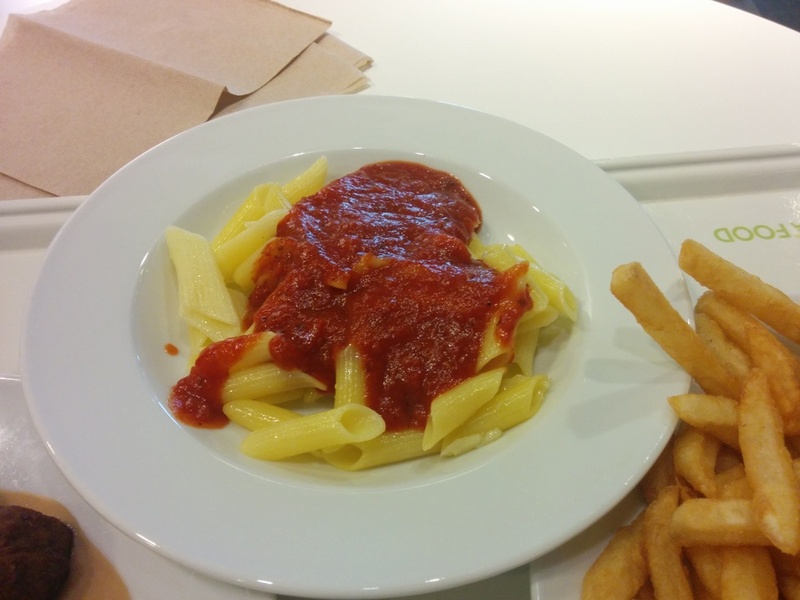 We also ordered some Pasta with Marinara Sauce. This was beyond generic and bland so I wouldn’t recommend it. I can probably make better pasta. 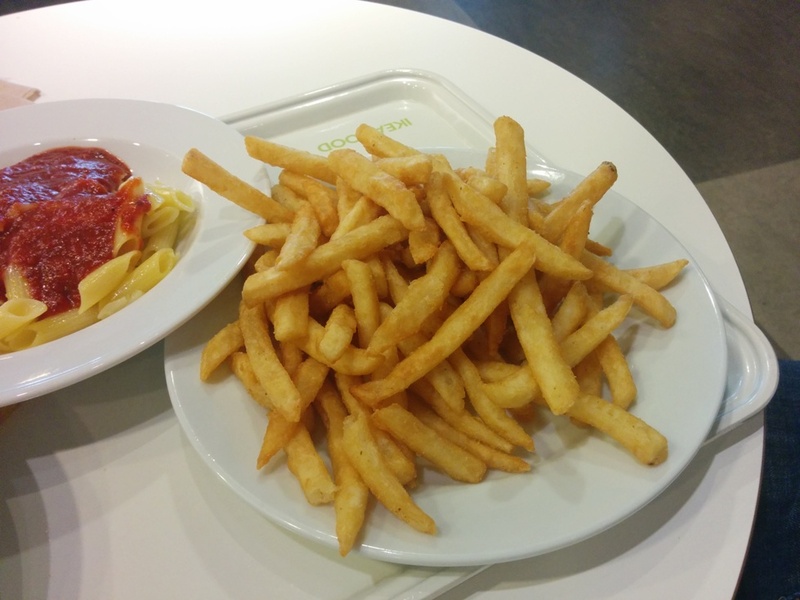 We also decided to get a side of fries. Then they gave us an entire plate… definitely wasn’t expecting this much! They were alright though, crispy enough but could be seasoned more. Finally we have dessert! I actually got the Carrot Cake after I walked around the store and came back. Really needed to digest all the food above first! Pretty decent with lots of carrot and nuts and a nice cream cheese icing. I would get this again! Or try their other cakes. I don’t think I can find cheaper carrot cake elsewhere. 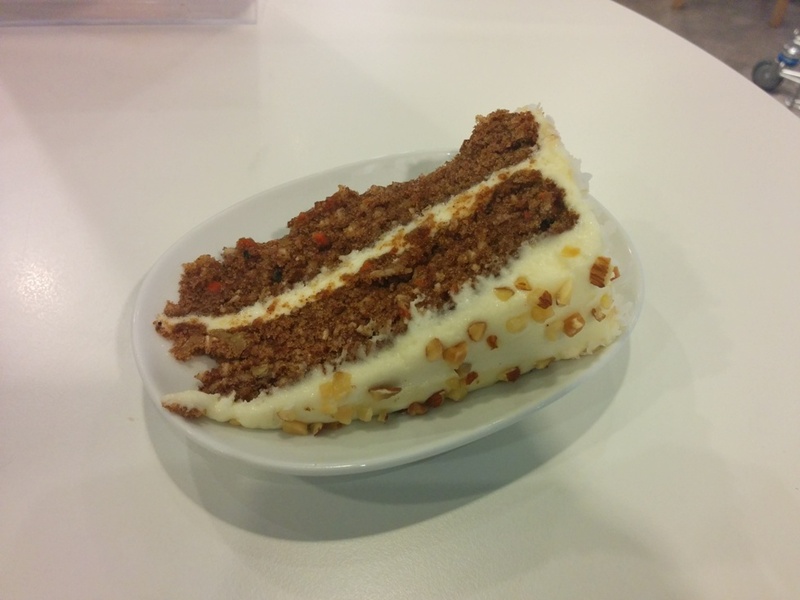 Any recommendations for a good carrot cake place? I have been really into carrot cake and loaves this year. Downstairs near the checkout you can get Frozen Yogurt for $1!!! I’m glad it’s still only $1 after all these years. 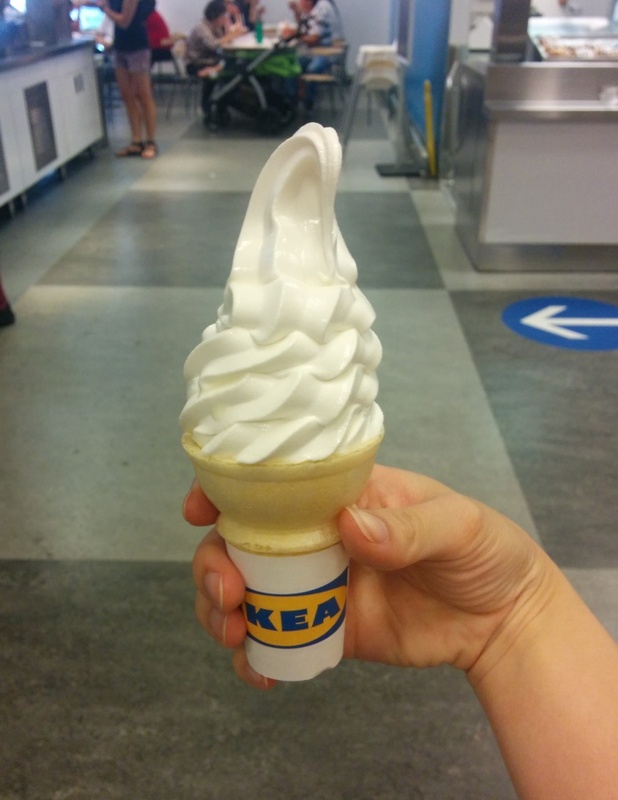 This was a must have whenever I went to IKEA when I was younger! Hot dogs are still cheap too but I think I like the Costco ones better. 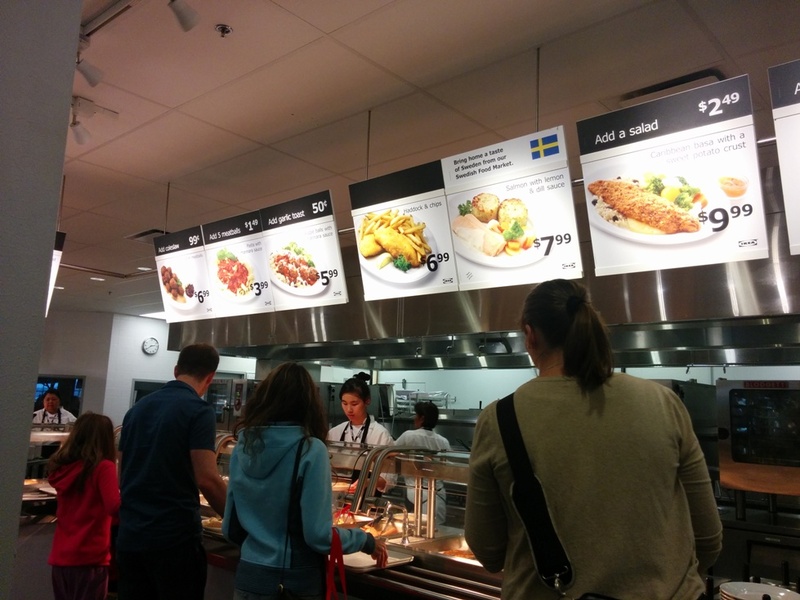 Overall, the food is very cheap and you can’t expect great quality but it’s good for when you’re shopping! Or cheap dates!